Serious contrarian investors are working at least 60 hours per week right now investigating opportunities in Oil and gas stocks. While recently rubbing elbows with sophisticated investors in the natural resources penny stock capital of the world (Vancouver), I didn’t hear anything but negativity and pessimism regarding Oil. A great contrary indicator. Human emotions are one constant among turbulent financial markets. 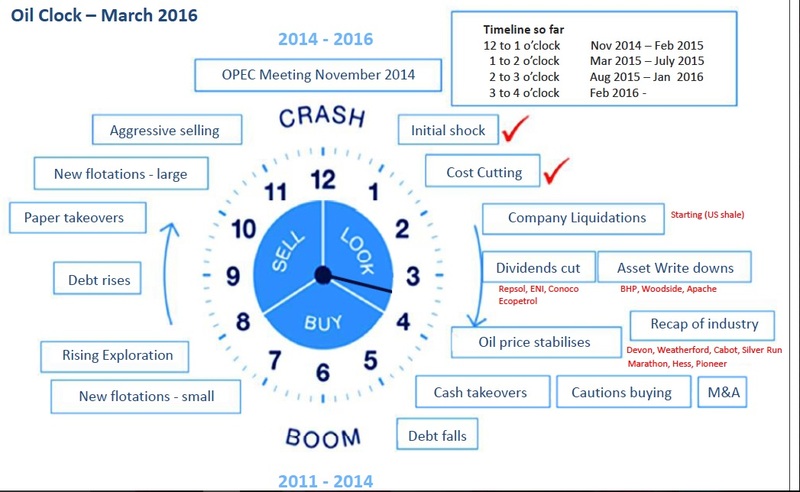 Yet, like clockwork, the Oil industry is cyclical, and we’re nearing 4 on the Oil clock! The time to position oneself is between 4 and 6, as we’d rather arrive at the next OIL BOOM fashionably early, instead of being late. The image above is courtesy of TAG Oil (TAO, TSX). Expect to hear more about TAG Oil in the months and years to come. Simply put, TAO is way too cheap at today’s 72-cent close. After backing out its cash position, investors are paying roughly $30 million for pipeline and processing infrastructure with a +$100 million replacement cost. 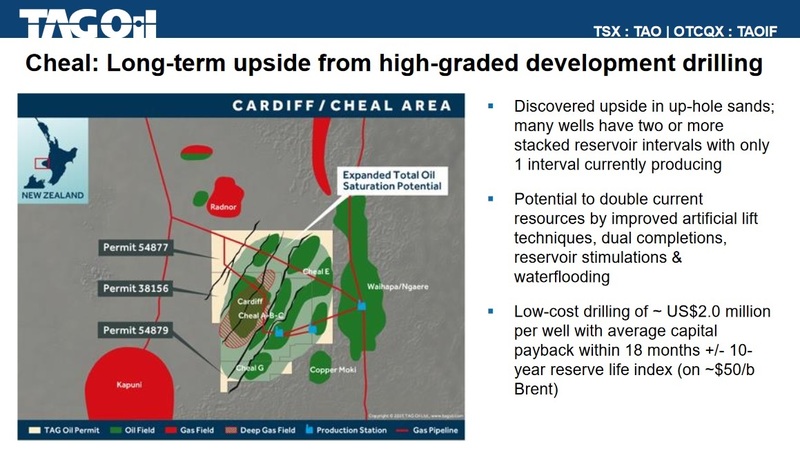 It looks like an even better deal after factoring in approximately 1,200 boe/d production and Oil/gas reserves (an estimated 3.6 million barrels of 2P reserves). Price per barrel of flowing Oil is a common metric used by M&A professionals for valuing Oil/gas companies. In most situations we want to value each stock as if we were going to acquire the whole business (100 shares or 100 million shares). 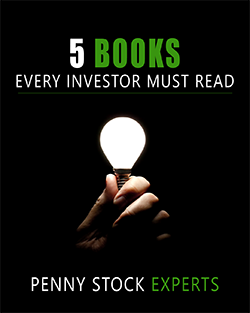 Valuing stocks from this psychological perspective is critical for achieving out-sized riches in the market. Along with balance sheet strength, management ownership and exploration upside, when talking Oil/gas stocks “price per flowing barrel” is one of the most important metrics. In an article titled: “Oil and Gas M&A: What Price is the Right Price?”, Oil & Gas 360 addresses the question. Boiling the article (and others like it) down to what’s most important, at +$100 Oil investors will pay as much as $75,000 to $$150,000 per flowing barrel. Bargain hunters right now, with Oil under $50, are aiming to buy quality assets for below $50,000 per flowing barrel. Even though we aren’t T. Boone, there’s no reason we shouldn’t speculate as he did during cyclical downturns in the Oil industry. T. Boone was famous for “buying production”. 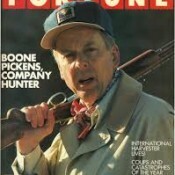 Channeling T. Boone of the 1980s, the following 2 Oil stocks would be on my list for hostile acquisition. Of course, we would start negotiations in a friendly way, but given the relatively low cost per flowing barrel, closing the deal(s) would likely require an element of hostility. TAO has a market cap of $45 million. As per its most recent filings, it averages 1,200 boe/d. Therefore the price per flowing barrel of production is $37,500. TAG Oil’s infrastructure and production is located in one of the safest and most beautiful places in the world – New Zealand. From the outside looking in, its exploration upside is favorable. Further justifying my acquisition case for TAG Oil, I would argue its Oil and gas are sold for premium prices (relative to world markets), and its production costs are among the lowest quartile in the industry. According to CEO Toby Pierce during last quarter’s conference call, TAO’s all-in costs (including coffee filters for the office) are below $40 per barrel. While TAG Oil’s cash balance has been decreasing for years, as of March 31 it still had $16.8 million. After backing out its cash position, TAO is valued at approximately $24,166 per barrel of flowing Oil. In my view, KFG is a textbook takeover target for a young and hungry, aspiring natural resources tycoon (older ones, too!). For one thing, it has been run by the same person for decades. This person, CEO Bob Kadane, isn’t a bad guy. In fact, I met him about a year ago when he was visiting family in Dallas. My gut impression is that Bob is an honest guy. Not a promoter or showman for his company (its website has no pictures and no updates since 2014), in which I believe he’s a significant shareholder, but an honest guy. While perception isn’t everything, it’s quite a bit. 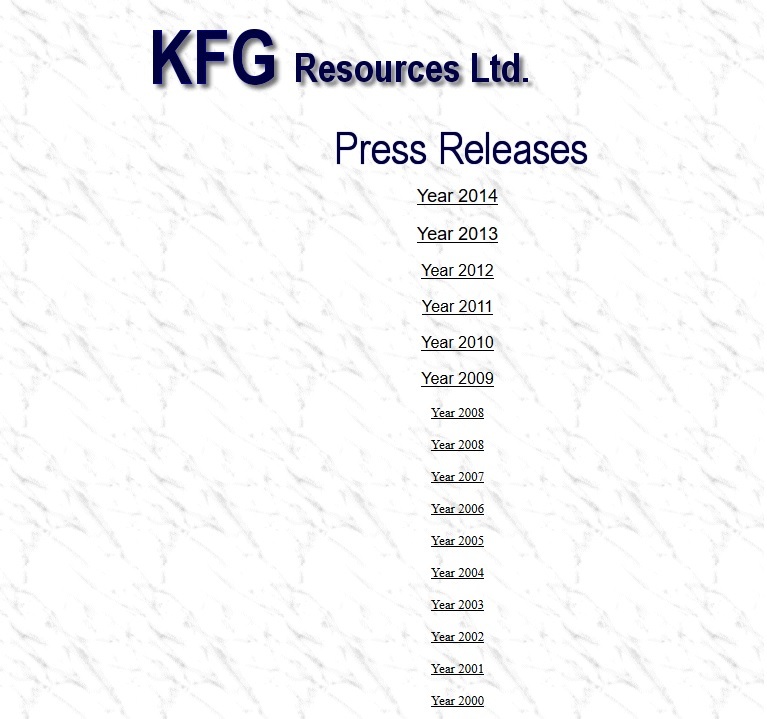 Do you think many people are going to take KFG seriously after seeing that website? Channeling T. Boone, KFG Resources could be my best candidate for breaking into the business as an inexperienced Oilman. The company is small enough almost anyone could really get their hands around its operation – KFG is valued at $2.3 million. Most Big Players – let me take that back, almost NO Big Players – would be interested in KFG because its production is just 94 bopd. But since we’re buying the whole business, which generates cash flow, our main concern is “PRICE”. In theory, KFG Resources could be purchased for $24,468 per barrel. Depending on how one runs the numbers it could be even less. According to its last financial statement it had $1,031,922 in cash. Along with approximately $576,526 in accrued liabilities. A quick and dirty calculation including the cash component would bring our price per flowing barrel down to just $20,212. Remember, M&A gurus are doing diligence on deals priced below $50,000 per flowing barrel. We will revisit KFG and its mini operation in more detail soon enough. For now, suffice to say it targets “conventional” Oil wells in Mississippi, Louisiana, and Texas, where drilling costs through completion can be as low as $300,000 (“fracking” can cost over $3 million). Of course, KFG doesn’t expect to hit any gushers, but it doesn’t need to! At $40 Oil the numbers work for KFG. In KFG’s book, a gusher would be 100 bopd. A well that size would produce about 35,000 barrels per year, or $1.4 million at $40 Oil. In theory, KFG could recoup its drilling costs within the first 6 months of production in such a scenario. Speculation and M&A in commodities is difficult as no one knows for certain what direction prices are headed. 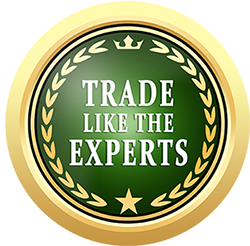 However, one can hang their hat on the fact assets must be acquired when no one else wants them (or is selling) in order to get the best deal possible.